Feb 28. 2018 Australia announces they will partner with Thales on the OneSKY programme to modernise and integrate the Australian airspace. The programme will deploy Thales’s four key digital technologies: connectivity, big data, AI and cybersecurity, to manage 11% of the world’s airspace. 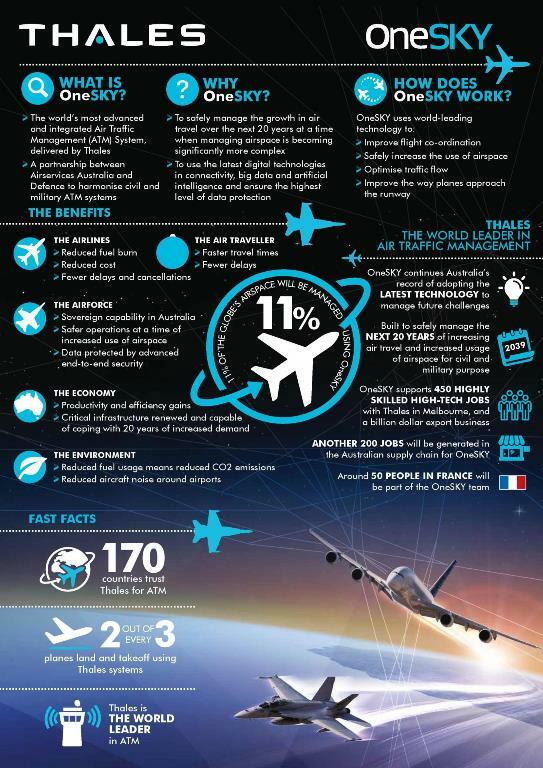 OneSKY is designed to provide quantifiable reductions in travel times, delays and achieve CO2 emission reductions and fuel burn reductions whilst maintaining Australian air sovereignty, thus protecting its citizens, delivering clear economic, environmental and security. Australia occupies a unique global position in the air traffic management (ATM) domain. The country’s Air Navigation Service Provider, Airservices Australia, manages the largest airspace in the world. Their ambition is to ensure the seamless integration of all civil and military air traffic over an area totaling 53 million square kilometers, approximately equal to the combined surface of North America, Central America, South America and China. Airservices Australia and the Australian Defence Force have chosen to rely on Thales to achieve this ambition by signing an AUS $1.2bn (€777m) contract for the delivery and deployment of the OneSKY programme. OneSKY is the world’s most advanced civil military airspace integration project and calls for the modernization of the Australian and associated oceanic airspace. The ambition of this programme is to enable Australia to safely manage and benefit from the rapid increase in air travel over the next 20 years at a time when airspace management is becoming significantly more complex. 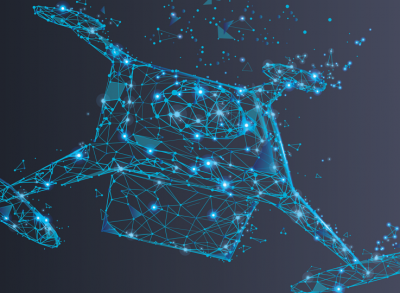 OneSKY will leverage Thales’s proven track record in Air Traffic Management systems, dual civil/military interoperability and use the latest digital technologies in the fields of connectivity, big data and AI to improve flight co-ordination, safely increase the use of airspace, optimise air traffic flow and improve the way planes approach the runway. 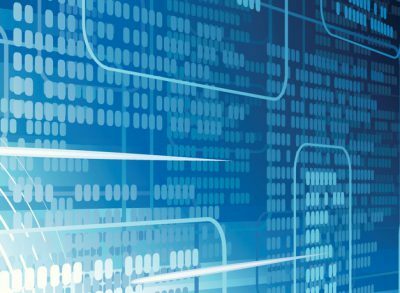 Drawing on its cybersecurity expertise, Thales will ensure the integrity of the connectivity that will drive this interoperability. For passengers the programme will reduce travel times and delays. For airlines, OneSKY seeks to maintain safety levels at increased volumes to enable them to increase their routes, whilst reducing fuel burn and CO2 emissions. The Australian Air Force will benefit from safer co-ordination with civilian air movements, thus helping them accomplish their mission of protecting Australia and its citizens more efficiently. The development and delivery of OneSKY will support over 500 highly skilled, high-tech jobs, of which 450 are in Melbourne as well as a further 50 jobs in similar disciplines in France. To this approximately 200 more jobs will be supported across the entire supply chain in Australia It builds on the long term investment by Thales and comprehensive technology transfer that has brought world-leading R&D in ATM systems to Melbourne.